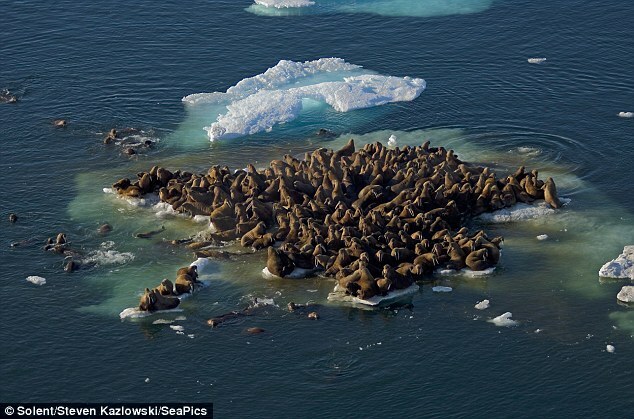 Walrus Pic of the Day: I’ll be up here, guys…. Note: Longtime readers may remember another picture of this type posted here (http://www.worldwidewalrusweb.com/2011/04/21/walrus-pic-of-the-day-3/ ). 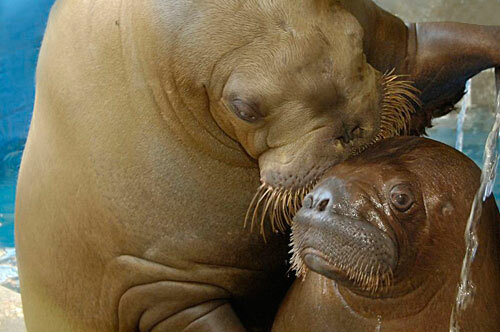 Walrus Pic of the Day: Smooshi wins Movember! Movember is a charity event that involves growing mustaches for charity. Walrus trainer, Wipeout Canada champion and friend of the World Wide Walrus Web Phil Demers posted this picture of Smooshi on Twitter. Smooshi wins! More info about Smooshi and Phil is here. How the heck did he get up there? I originally posted on this topic some months ago here (What Does a Walrus Sound Like?) but I just now discovered a great new interview via NOVA Science Now that will really give you a complete picture of the types of sounds a walrus makes. This is from the walruses at Six Flags Discovery Kingdom in Vallejo, CA – where you may be aware they are awaiting the imminent and very rare birth of a walrus calf! This is a great audio/photo feature. The interactive feature is packed with GORGEOUS walrus photos, lots of info thanks to trainer Leah Coombs of Six Flags and Dr. Colleen Reichmuth of UC Santa Cruz. This is old, it’s from ’09 but it’s new to me, and likely new to you too. Sivuqaq and Uquq, two of the featured walruses, are today’s expectant parents! And that’s what a Walrus sounds like.